The acronym G.B.F. 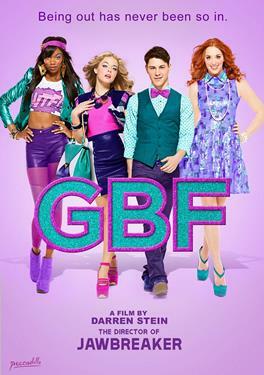 stands for "Gay Best Friend" which has recently been deemed the hottest new fad at North Gateway High School; the Queen Bees need a G.B.F.! But there is one big problem: none of the gay guys at their posh suburban high school are out of the closet. The vicious lady monarchs of the school, a.k.a. the three lead prom queen candidates, are not going to let this minor glitch get in their way; a G.B.F. is just what they need to give them that edgy, high-fashion appeal and win over the ultimate prize: the high school popularity crown.